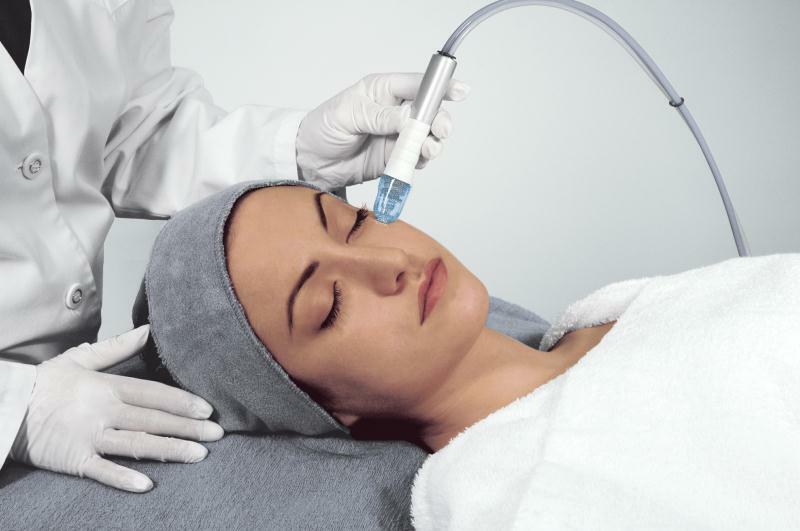 MICRODERMABRASION is today's hi-tech treatment of choice for both, men and women and is fast and painless for correcting skin flaws for smoother skin results. This anti-aging procedure involves removal of all superficial dead skin cells for smooth skin resurfacing and strengthening of the epidermis as well as the dermis while providing a deeper treatment of specific problems. One treatment per month will prevent skin aging by stimulating cell renewal and cell repair mechanisms. It will also maintain results obtained from an initial series of treatments recommended for specific problems. A treatment prior to a special evening or occasion will give you an "instant glow". Other prices by personal consultation only. We use both, the ST Peel and the Derma Pod which are high performance microdermabrasion systems using 99.99% pure pharmaceutical grade corundum crystals/natural mineral crystals that are effectively projected against the skin at a consistently high velocity with Turbo Flow systems . Our expertise and experience in utlizing the computerized control functiions ensures instant calibration for perfect treatments, every time. What sets us apart from other facilities offering microdermbrasion treatments is our skill and ability to combine other complementary treatments to give you better options for age management protocols for the face, neck as well as the sensitive eye area.